Is it possible to think of a mountain as an independent state? For more than four decades Telluride loyalists have unofficially believed so. Synonymous with phenomenal snow conditions the resort’s uncrowded slopes—and absence of lift lines—make skiing and riding unforgettable. Members of the Telluride Ski Club have numerous privileges on the slopes, including hitting the slopes a full hour before anyone else on select days. Whether making turns on newly groomed corduroy or first tracks in fresh powder, Telluride’s more than 2,000 skiable acres feel as if they are all yours. The mountain itself covers the face facing the town of Telluride as well as goes over onto the other side (Revelation Bowl) with a total of 120 ski runs. 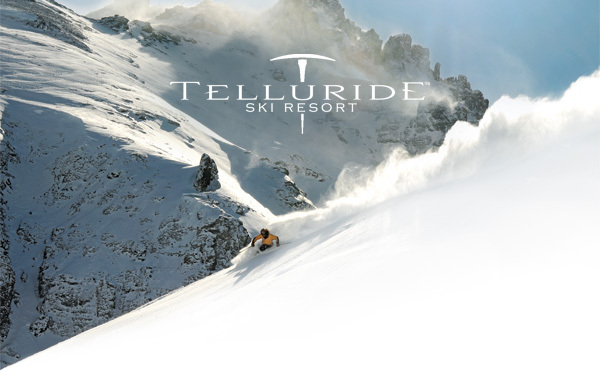 23% of Telluride’s runs are ranked at Beginner, 36% Intermediate and 41% Advanced / Expert. All levels of instruction are available for both skiers and snowboarders in either group or private sessions.